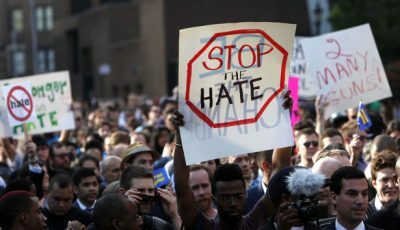 Hate crimes against lesbian, gay, bisexual, transgender and queer (LGBTQ) individuals are poorly understood and vastly underreported, making the investigation and prosecution of these crimes extremely difficult. Research on these crimes also pales in comparison to studies of racially-motivated crimes. To help police and prosecutors better tackle the issue – and improve services to victims – FIU’s Department of Criminal Justice has partnered with the Miami-Dade County State Attorney’s Office and the Miami-Dade Police Department on a two-year project to study LGBTQ hate crimes in the county. Funded by a $500,000 grant from the United State Department of Justice, researchers will interview crime victims, police detectives and prosecutors, as well as review hundreds of case files and court records. The goal is to better understand barriers to reporting LGBTQ hate crimes, motivations of the offenders and challenges to successful investigation and prosecution. The nonprofit SAVE Foundation, an LGBTQ advocacy organization in Miami, will work closely with FIU to identify participants for the study and produce policy recommendations. In addition to publishing their findings in academic journals, researchers will share results on social media, via podcast and in mainstream media outlets like the Huffington Post to reach a broader audience. I will like to participate in this study, how can I do that?